Hello! Happy Saturday! I write this from bed where I’m drinking coffee and convincing myself that spending hours in bed after a run is acceptable. Today’s run was eight miles and, while insanely humid, it was less grueling than last Saturday’s run. 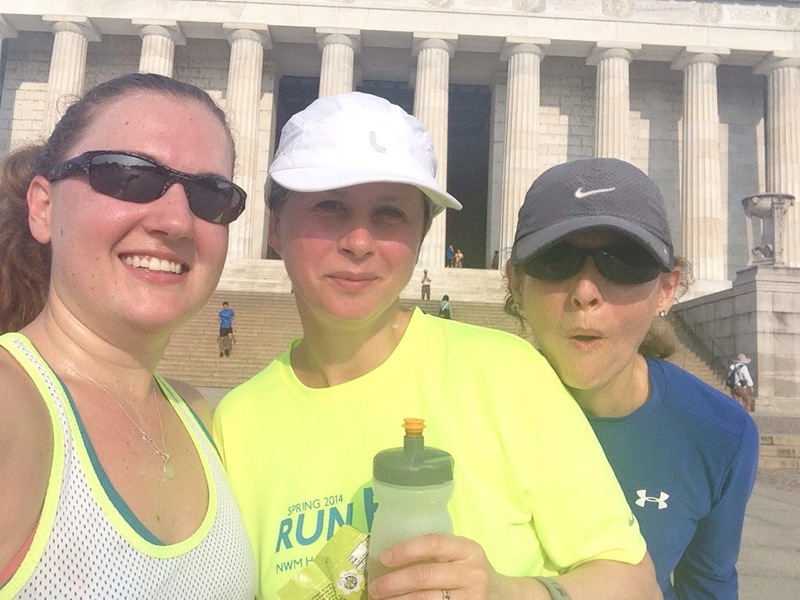 Our turn around point was the Lincoln Memorial – one of my favorite places! If we look a little sweaty, it’s because we were. My clothes felt like I’d just stepped out of a pool at the end of this run. Yuck. The run was okay. My legs were feeling a bit heavy but overall okay. I need to remember to drink more. I always need to remember this, but so much more important during the summer. Now, for the random part. After the run, I discovered that Garmin Connect has been redone! It’s so cool! I thought it was great before, but now it’s even better. Check this out! It has all sorts of new features and user-friendly ways to look at things. I’m very impressed. 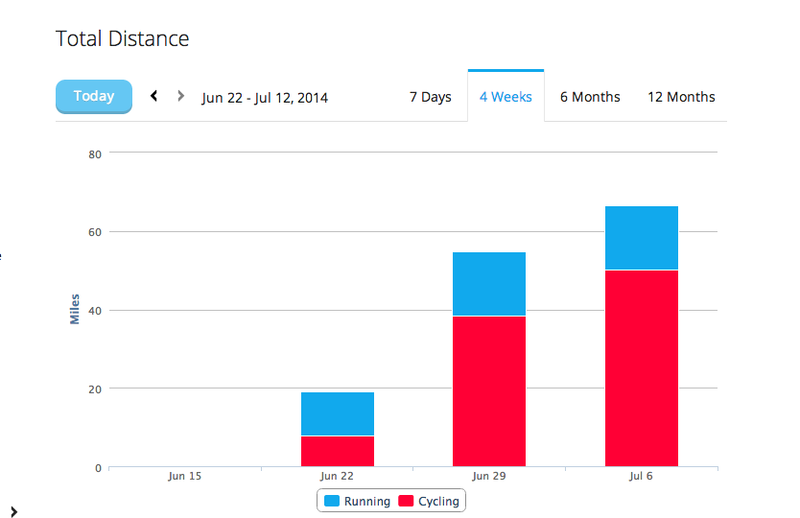 It makes it even easier to look at different stats (average pace, fastest pace, average heart rate, etc.). It’s AWESOME! I read an article a couple hours ago about why it’s a bad idea to bandit a race. I’ve always been pretty opposed to this. There are race fees for a reason, planning a race is a lot of work, and you should pay if you want to participate. Reading this and my feelings about it, reminded me of a podcast I listened to this week about morality and psychology. If you’ve never heard On Being and are interested in great conversations, I highly recommend it. Have you heard about Climate Ride? Do you like riding? Do you want to raise money for organizations try to save the planet? You should think about it! I hope to do it some day!